APPEAL FROM FINDINGS OF FACT, CONCLUSIONS OF LAW, AND ORDER TERMINATING PARENTAL RIGHTS ENTERED ON DECEMBER 28, 2011 IN THIRD DISTRICT JUVENILE COURT, SALT LAKE COUNTY THE HONORABLE FREDERIC ODDONE, PRESIDING. David C. Cundick; Lokken & Associates, P.C. ; Attorneys for Appellant. John M. Peterson; Assistant Attorney General; Mark L. Shurtleff; Utah Attorney General; Attorneys for the State of Utah. Martha Pierce; Office of Guardian Ad Litem. Brief of Appellee, Utah v. M.B., No. 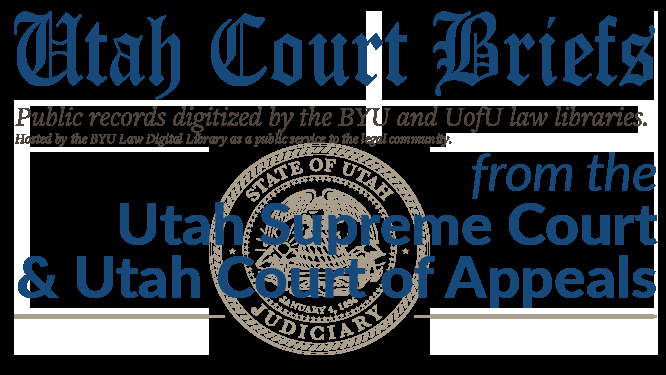 20120036 (Utah Court of Appeals, 2012).